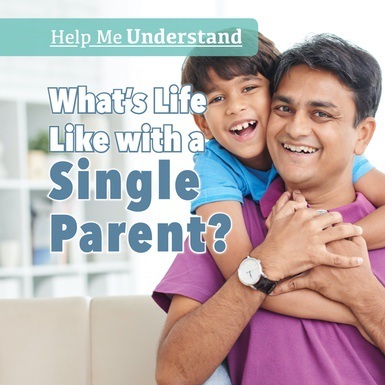 What’s Life Like with a Single Parent? Families come in all sizes, and having a single parent is nothing unusual. This book looks at what life is like for a child living with a single parent. It touches briefly on the circumstances that may cause a child to have a single parent, including divorce, an unmarried parent, and the death of a parent. The age-appropriate text explores questions children may have when living with a single parent and offers guidance about how to talk about their thoughts and feelings with their parents and others.